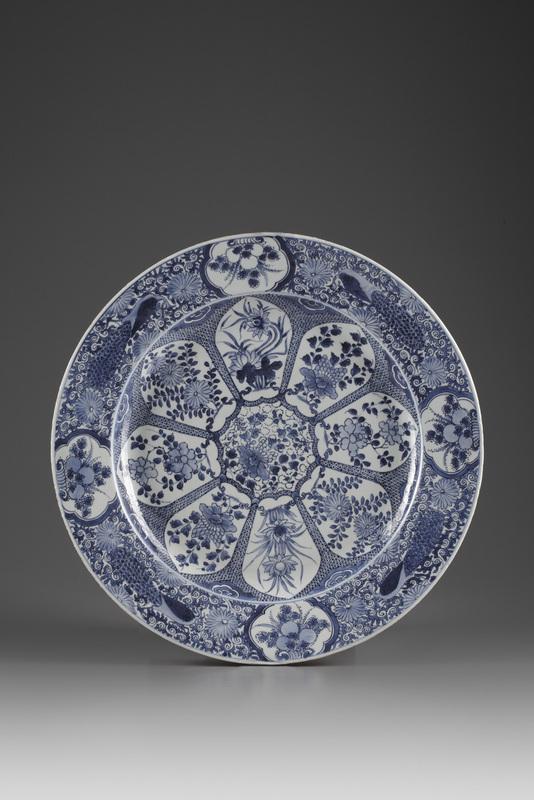 The central medallion with blossoming peonies against a “oeil de perdrix” background and surrounded by eight panels with alternating decorations of peonies, lotus and chrysanthemum. 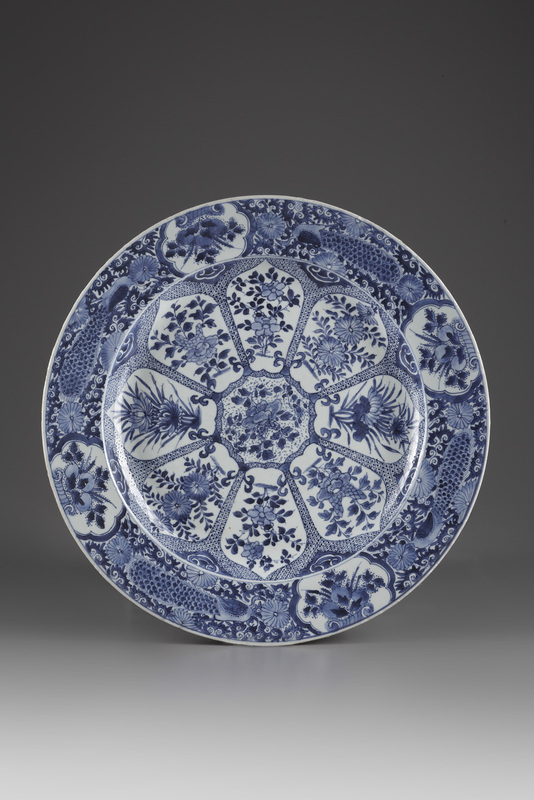 The rim shows four cartouches with alternating decorations of peaches and pomegranates between which four peacocks against branches of scrolling chrysanthemum. 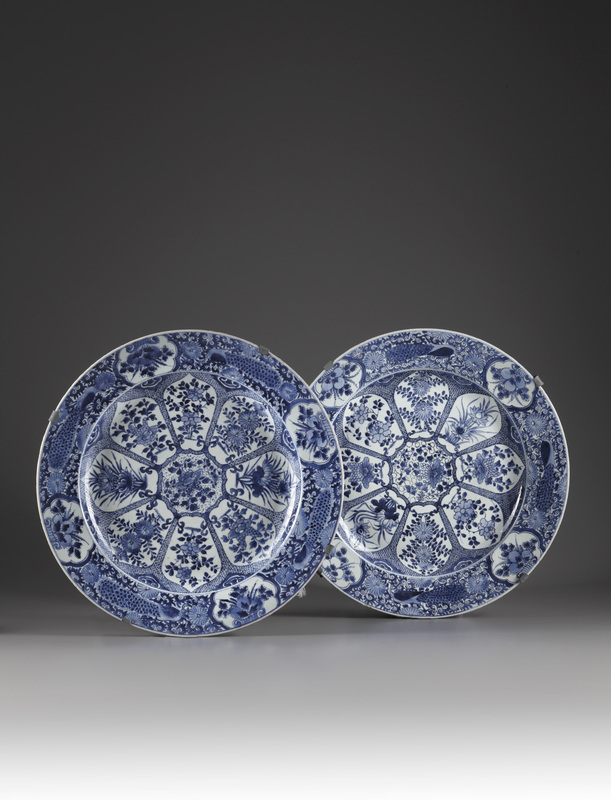 A slightly larger pair of dishes with the same design, was in the collection of Augustus the Strong, Elector of Saxony and King of Poland (1670 – 1733). 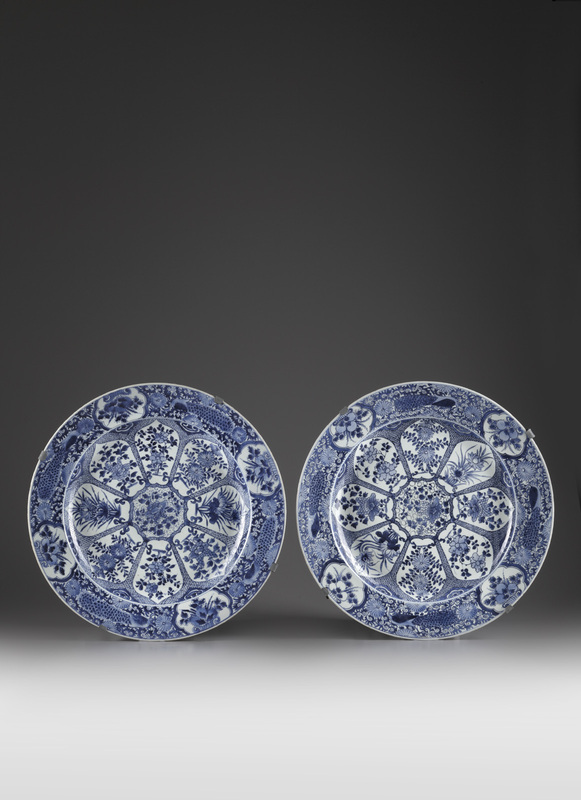 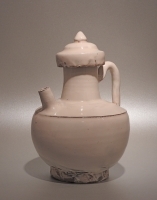 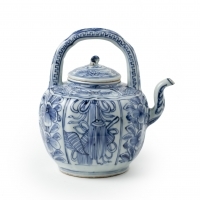 These were sold at the second auction containing duplicates from the collection in 1920. 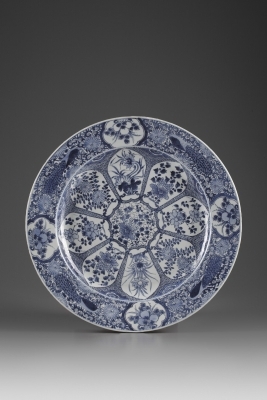 Similar dishes are in the Baron van Verschuer Collection, Arnhem, the RA Collection, Brasil and the Tokapi Museum, Istanbul.